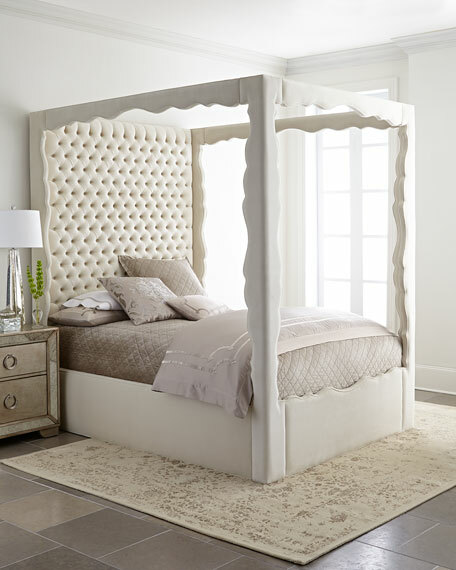 Bed has scalloped alder wood frame with button-tufted headboard. 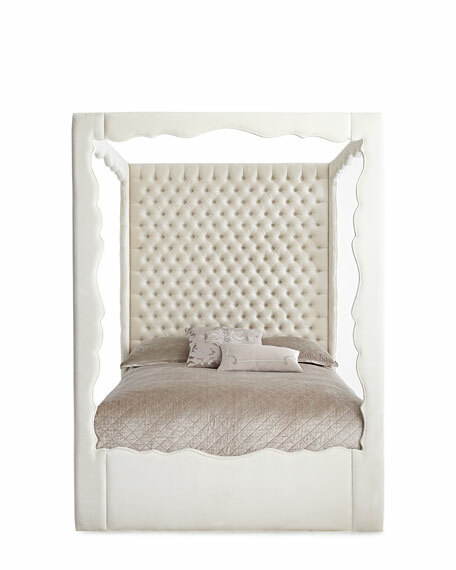 Cotton upholstery in a versatile cream color. 82"W x 86.5"L x 89"T.
66"W x 86.5"L x 89"T.
Boxed weight, approximately 484 lbs.